The Barometer is intended for measuring atmospheric pressure within the range from 300 to 1100 hPa (mbar). 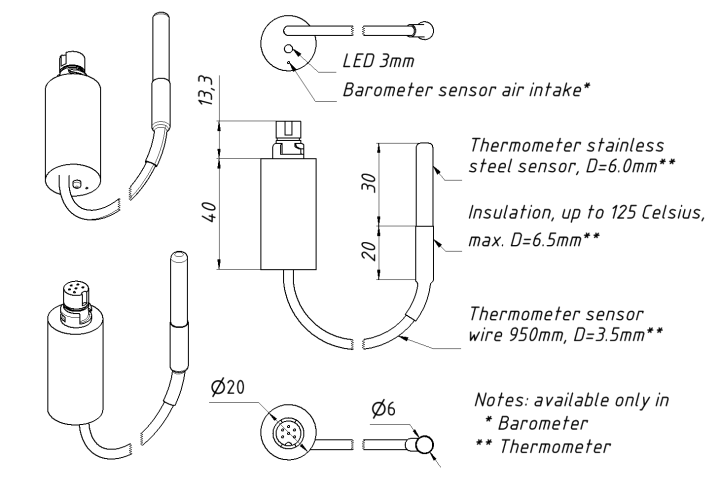 The sensor is located inside the device case. Many chartplotters and digital navigation instruments are able to display data on pressure in the form of graphs or show a trend indicator; this allows tracking of trends in the weather change. The Device dimensions, including the connector, are 54x20x20mm, the mass is only 11 grams, so it is suitable for racing yachts. 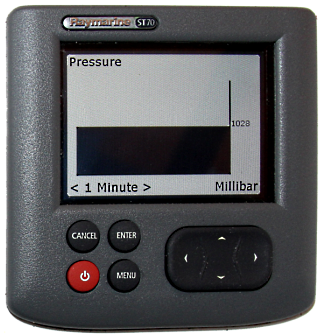 Pressure data output resolution to a NMEA 2000 Version 3 network is 0.01 hPa (mbar), absolute measurement accuracy is ±1 hPa, relative measurement accuracy is ±0.12 hPa. The Devices are designed for operation in an NMEA 2000 network and are compatible with a wide range of equipment supporting this protocol. 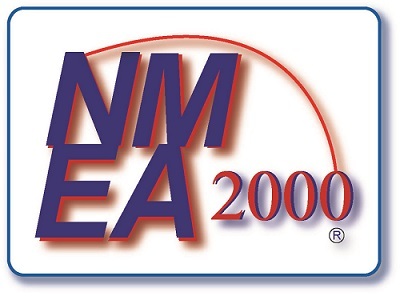 Raymarine SeaTalk NG, Simrad SimNet, and Furuno CAN networks are branded versions of NMEA 2000 and differ only by connector type. Garmin uses the NMEA 2000 Micro connector in its devices, which is compatible with the DeviceNet Micro connector. Our Devices are supplied with different types of connectors (see the User Guide), making it possible to connect them to networks of different manufacturers without any adapters. The Device model is shown on the case. Up to 50 devices may be used on a vessel simultaneously; this limitation is set by the network specification. Data from a Device can be displayed on any number of chartplotters and digital navigation instruments, and used by other digital equipment in the vessel.